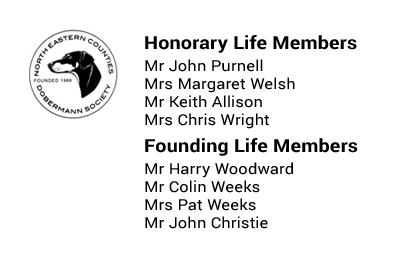 The Society in partnership with the UKDP and the Kennel Club is committed to working with all appropriate individuals and organisations to ensure that every Dobermann’s life is as healthy and happy as it can possibly be. The vast majority will lead very healthy lives but there are certain conditions that have been identified in the breed and the Society wants to do all it can to reduce the incidence of these conditions and to help puppy buyers to get the healthiest puppy that they can. The Society and the Kennel Club encourage all breeders to health test so that they can help eliminate dog diseases. Puppy buyers should check that their breeder has carried out the appropriate health tests associated with Dobermann’s, before they buy. The Kennel Club runs health screening schemes in conjunction with the British Veterinary Association, for hip and eye diseases and also invests in the development of DNA testing. Members of the Society who breed are actively encouraged to participate in these schemes and tests.